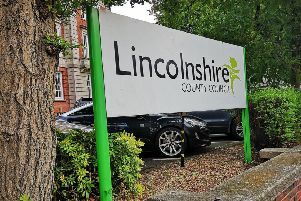 As part of an ongoing investigation into a series of burglaries in the North Kesteven and Lincoln areas of the county, Lincolnshire Police have launched Operation Candor. A number of dedicated officers are already working on the enquiry, which is aimed at tackling house burglaries where vulnerable victims are being targeted. Since August this year there has been an increase in crimes of this nature and police officers believe that in the weeks before the actual burglary takes place, which is often carried out by thieves entering an address by forcing entry or taking advantage of an insecurity, doorstep cold callers are visiting potential victims’ homes as part of a reconnaissance. Then, the suspect either personally goes back and carries out the burglary or passes that information on to another party, who in turn goes back themselves and burgles the property. Also, some households are being targeted where high-value items are on display and visible within the property or where expensive vehicles are on the driveway. The force wants to stop these offences before they even happen and need the public’s help. As part of this operation they will be running a five-day campaign during which they will offer some practical tips and advice on how to prevent becoming a victim and what to do if you see anything suspicious. Part of tackling this problem is having the right knowledge, information and intelligence from the public. Sometimes the most innocuous piece of information can help identify crimes and those responsible. Detective Inspector Simon Bromiley, who is leading the investigation, said: “This is a bit of a plea to people to really keep an eye on your neighbours, friends and family. You know who their usual visitors are and you know if someone in their area is acting in a way that seems false and suspicious. That’s what we need you to tell us about. “Our enquiries so far lead us to believe that some of the victims of these burglaries are being visited by persons claiming to be doorstep sellers and either make their way into a home or gather enough information to take away and decide whether it’s worth going back to commit a burglary. This information is valuable to us in order to check the identity of these people. They could be ‘legitimate’ but they could also be part of the criminal fraternity we need to catch up with. “I know some people feel like they are wasting police time by reporting something that isn’t an obvious crime. I would like to assure you that are not wasting our time and urge you to trust your instincts; if it doesn’t feel right let us know. We would rather receive information to be checked out even if it turns out to be nothing, rather than deal with a victim of crime in the aftermath. Crime Prevention Tactical Advisor Sally Picker said: “Quite often it is the case that some people don’t want to be rude by turning people away on their doorsteps but it’s far more important that you protect yourself from becoming a victim of crime than being polite. “The key message here is very much if you’re unsure who’s knocked, keep it locked. If you have a door chain please do use it to talk to anyone you don’t know who may be on your doorstep and if you don’t please don’t invite them inside. There are a handful of ‘legitimate’ doorstep sellers with the appropriate licences for that line of work but they are few and far between. Bear in mind that the person on your doorstep might not be who they claim they are. “Above all else please don’t feel rude for telling someone you’re not interested in engaging with them. Chances are you won’t be the first or last person to tell them that. If you have any information that could assist with this investigation call Lincolnshire Police 101 quoting Operation Candor.